The original two-storied building owned by Ernest Healey, was destroyed by the great fire of June 2nd, 1912. The new shop was one of a group designed by C T Natusch and built by Tom Rimmer. 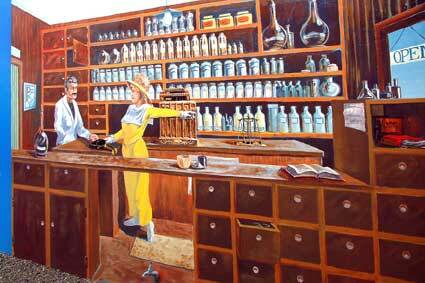 This shop has always been a pharmacy. 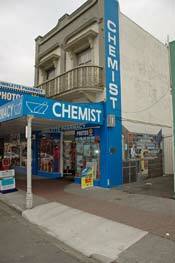 As well as the usual chemist's sundries, there were darkroom and eye-testing facilities. Ernest Healey owned these premises until 1952 and leased them to H E Garbutt, Isreal Corn,and Thomas Crotty over a period of 20 years. The upper facade is virtually the only untouched part of the building. In 1961 the recessed entrance was rebuilt to extend to the pavement.